Hola! Thanks for replying to my post and an interesting reply here. I just want to clear up a few things though. First of all I used until recently to be a main tank, been one since Wotlk so I’m aware that things change from one role to the other. I’m really happy for you if you find your role interesting and fun all the time for LFR and I wish it stays that way for you. But for me, no matter the role, LFR poses so little challenge that the flavor of the encounters get lost and I end up being bored. I’ve fallen asleep at least twice tanking LFR back in Pandaria. As for the “one tank” and “one of two healers” comment I meant by that that out of the 2 tanks and 5 healers you get only a few of these actualy need to be good players. These “good” players are often able to carry the raid and make up for any mistake the others can make. And yes, by faster I mainly meant less garbage and trim boss health. Ultimately, it all boils down to challenge and LFR offers little to no challenge. There’s good reasons for that like I listed in my post. 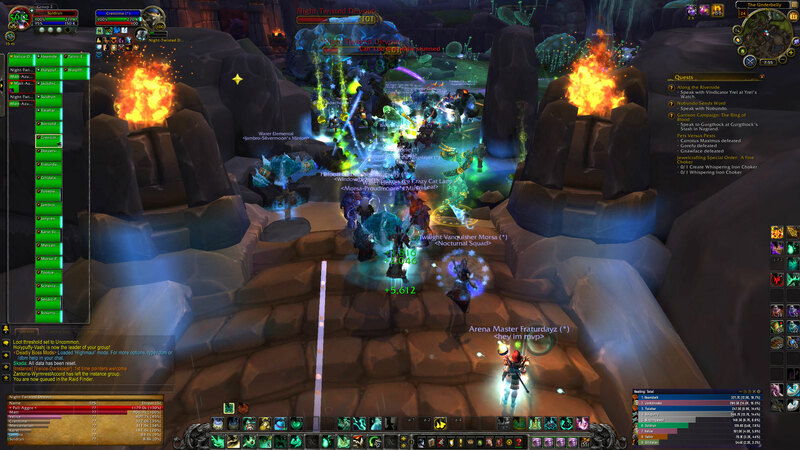 But since myself and quite a few players I know of do love some form of challenge in order to stay interested, if we have to do LFR, please make it faster. I suppose in “raid” style fights it eventually boils down to the boss, so for DPS and maybe even tanks, it’s all about keeping him occupied and/or inflicting damage. And without all the crazy fight mechanics, or simplified versions of them, the fight from the perspective of a class that just has to hit their rotation over and over, is probably dull. But healing, even if there is one enemy, I still have 24 other targets… the rest of the raid. I’ve been in groups that downed all the LFR versions of the bosses but at no time was I ever bored, even in LFR. Maybe healing is more hectic or something, due to the number of potential targets to watch. I have heard they were made super easy in a previous expansion (maybe Pandaria where you fell asleep, and I wasn’t subbed for that or Cataclysm) but in Draenor I think the LFR fights were just fine. Basically shorter fights would be OK but not harder fights – if folks want harder fights than LFR then enter the regular raids modes!